Tabletopia - launched on Steam! All our current users will automatically get an invite code to join Steam for free, just follow these instructions. 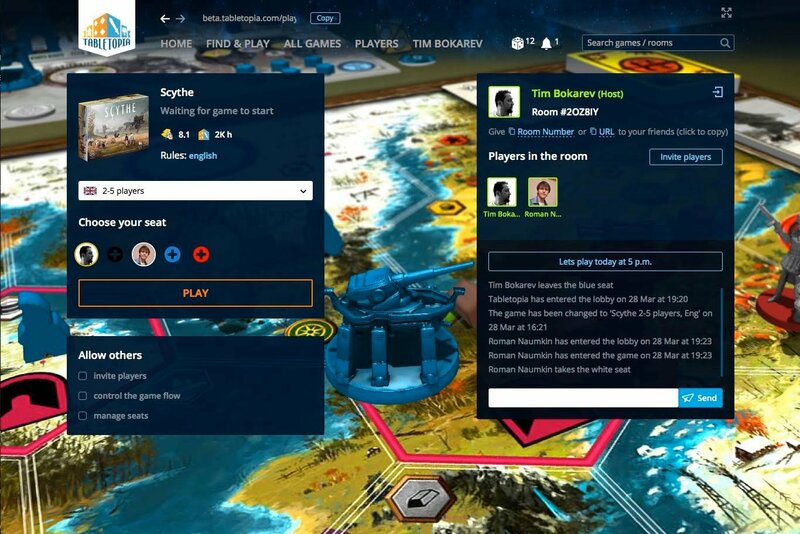 In addition to the possibility to play games with the client version of Tabletopia, the Steam-version has a new interface for the game catalog, invitations and player-matching sections, in-game rules and some other new features. Try them out! Your feedback is very important to us. Also, we kindly ask you to help us to promote Tabletopia on Steam. The more users we have, the more opportunities for you to find new friends and good opponents. share our announcement in your social networks etc. Let’s create the best digital gaming experience together!